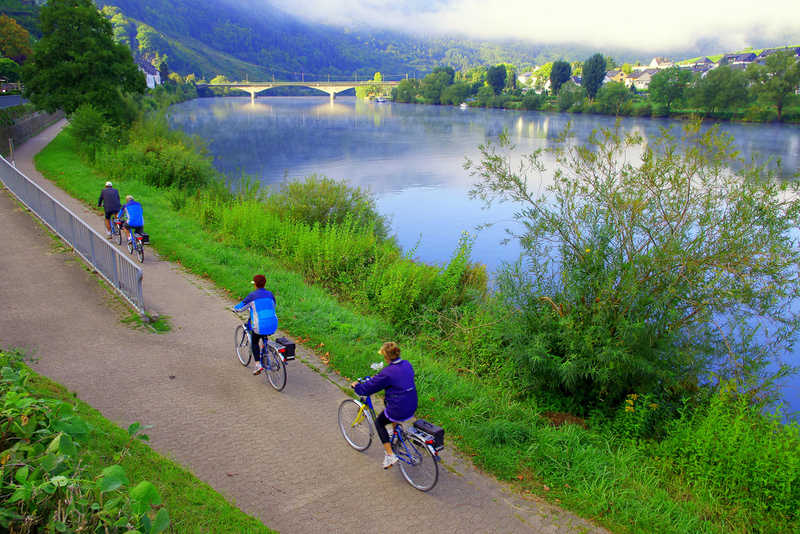 Bike along the Mosel River to Germany’s ‘Little Venice’! 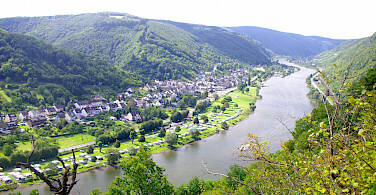 The Mosel River Valley is an idyllic setting and a perfect place for a bike and boat tour. Two rivers wind through this enchanting countryside, Castles guard the hilltops amid the climbing vineyards and forests within the great Germany-France-Luxembourg triangle. 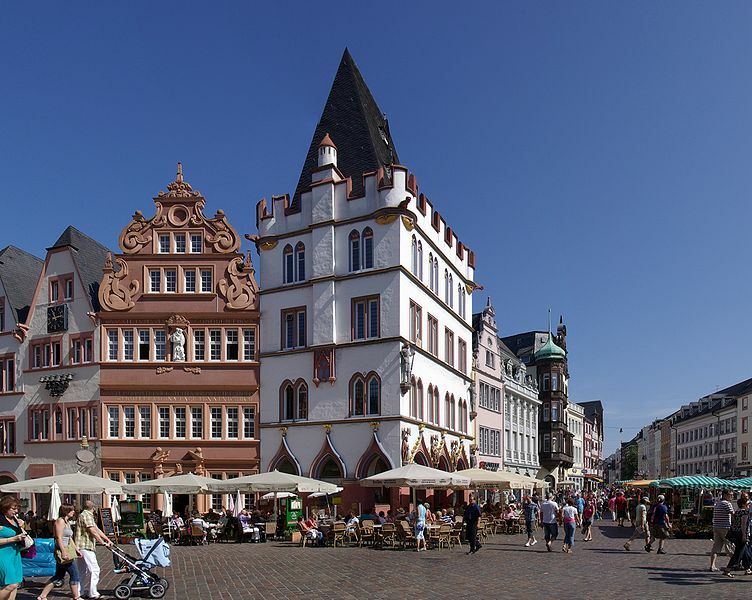 You will constantly be reminded of the rich and diverse history as you cycle, from the Romans who settled here and left Porta Nigra in Trier, to medieval villages with gingerbread houses, vineyards, and the spectacular Saar River bend. Enjoy all the highlights of the Saar and Moselle Rivers, which were important routes for the Roman Empire, whether for war or trade. You will explore from the comfort of your floating hotel, always there to meet you after an exciting day of cycling. 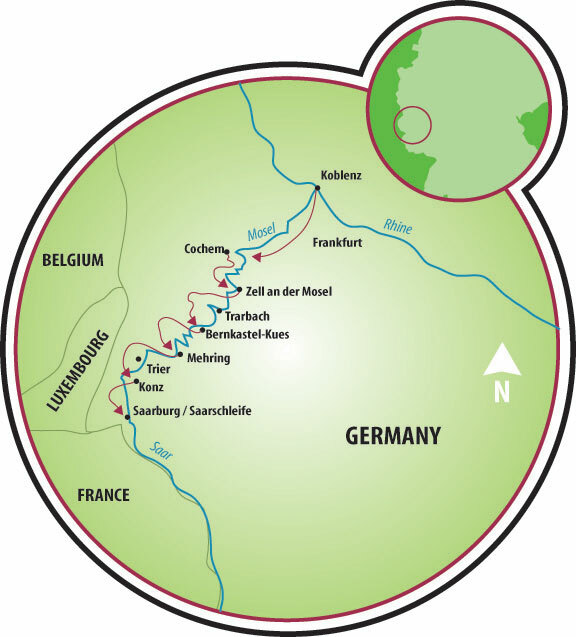 Be sure to check out all of our bike and barge tours in Germany. Closest larger international airport to your tour start (and end) is Frankfurt International Airport (FRA). The Frankfurt Airport(Flughafen) station is the largest airport train station in Germany and currently has multiple terminals connected by corridors including the "Fernbahnhof" which hosts long distance trains, and the "Regional Bahnhof" for regional travel. From either station, you can access trains to Koblenz. Depending on departure time, you can expect 0 to 1 transfers and travel times between 1 1/2 to 2 hours. You can expect train travel from 3 1/4 to almost 4 hours with one transfer. Your tour guide can assist you with purchasing tickets. You can take the transfer by mini bus (a minimum of 4 people is necessary). Price is approximately € 70 per person. Limited space, reservation for the transfer required in advance, to be paid on spot.Transfer back to Saarburg or Koblenz by mini bus approx. € 75,- per person. If you have brought your own bike, there will be an additional €15 charge. Transfers are bookable on board. Alternatively you can take the train back to your start point. Ride is approximately 1hr 45 mins, €30/person. Train tickets can be booked upon arrival at the train station. Check local conditions prior to departure. Average high/low temperature in °F for Frankfurt is: 56/39 for April, 66/47 May, 71/53 June, 75/57 July, 75/56 August, and 68/50 for September. Please note: This is a self guided tour. There will be a daily meeting to discuss route information. Please be aware that you will be part of international group of people. Before you travel, please check your country's passport and visa requirements and the passport and visa requirements of the country/countries you plan to visit. It is your responsibility to insure that you have proper identification. For US citizens, the U.S. Passports & International Travel website is a good source of information. The Country Information tab provides details about passport validity, blank passport pages required, etc. It is important to research before you travel as airlines will not permit boarding if you do not have the required valid documents. We recommend that you make copies of your important documents and papers (insurance cards, etc.). Leave a copy at home and have a copy with you. In the unfortunate situation that you lose your original documents, having copies facilitates the replacement process. On the Comfort class boat, the MS Patria. 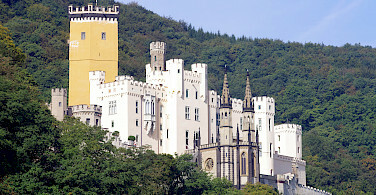 Extra nights in Koblenz or Saarburg available on request. *Parts in Italic are by boat. All distances are approximate. The above-planned itinerary is subject to change due to changing wind and weather conditions and other unforeseen circumstances having to do with mooring requirements, etc. Individual arrival to the boat. Embarkation at 4 pm. The boat sets sail in the morning to Alken, where your first bike tour will begin and bring you to Mosel-kern. 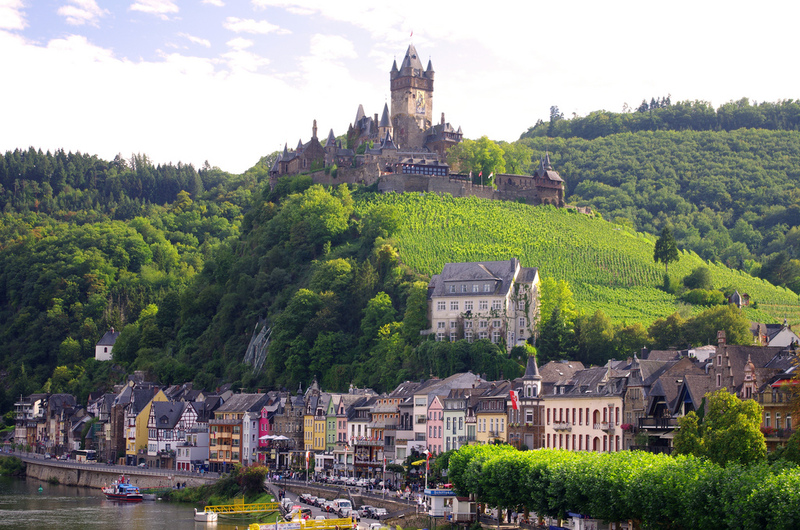 Today's destination is Cochem, a lovely little town with historical half-timbered houses and a picturesque Old Town. 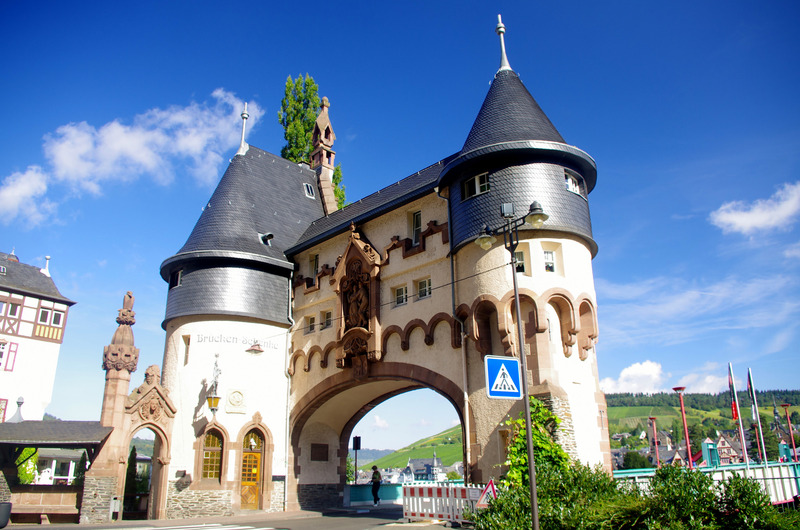 Today's cycling tour will first take you to Beilstein, which you can explore during a short tour. 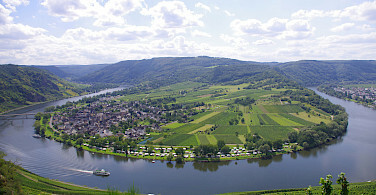 Along the route is Europe’s steepest vineyard at Bremmer Calmont, the tour ends in the wine village of Zell located on the Mosel. 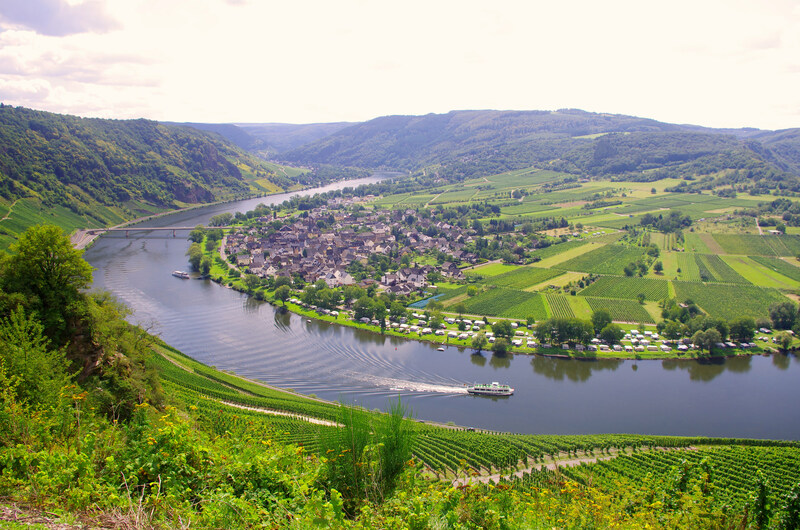 In the evening you will have the chance to visit local winegrower places and enjoy the famous Moselle wines, wine tasting optional, bookable on board. 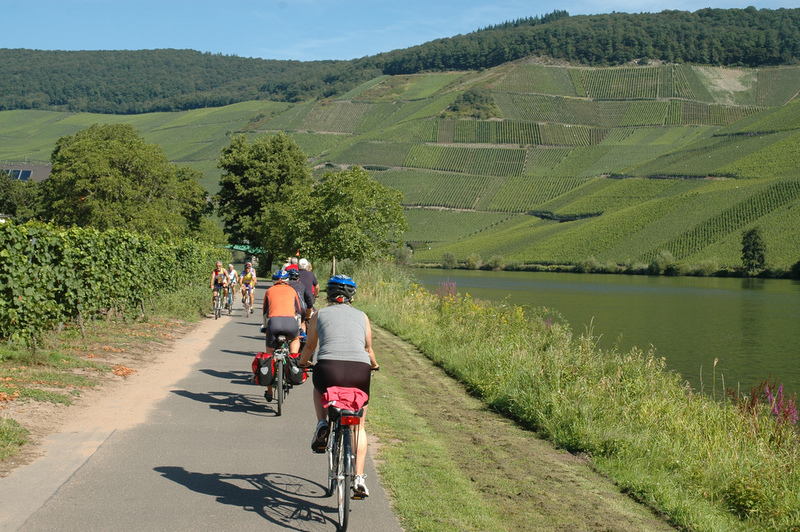 Today begins with a cycle tour to Piesport, the oldest winegrowing community along the Moselle. Here you can book a guided tour and visit the Roman cellars and the vineyards. 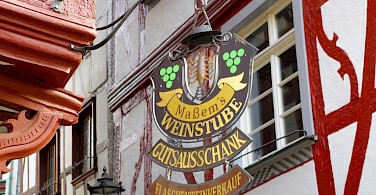 Further on, you come to Neumagen-Dhron which is the oldest wine city of Germany. After a lunch break, the tour continues to Mehring. 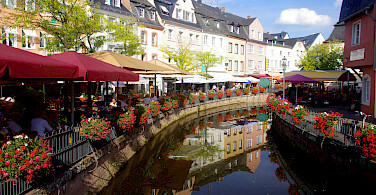 Via Pfalzel, you cycle to Trier where the boat will be waiting. 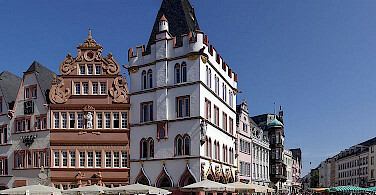 Trier is said to be the oldest city in Germany. The Roman roots are recognized in the magnificent Porta Nigra and Constantine's Basilica, and the amphitheater. 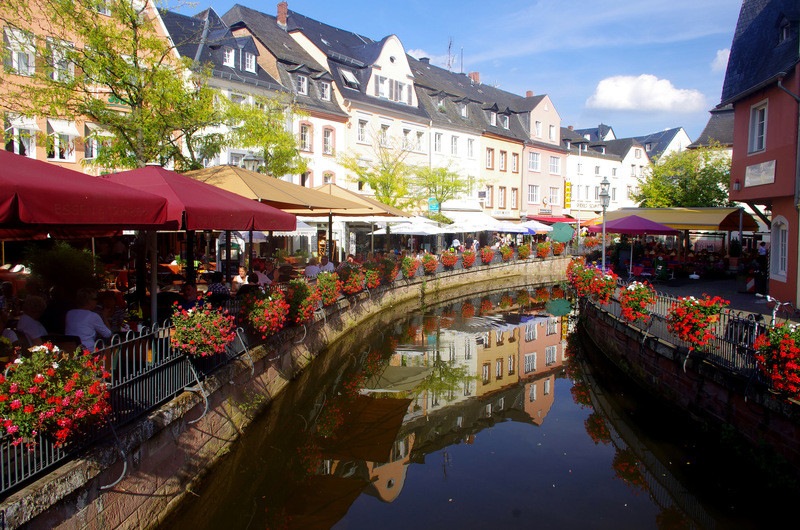 You cycle along the river from Trier via Wasserbiling into Luzembourg to Saarburg, also called the "little Venice". 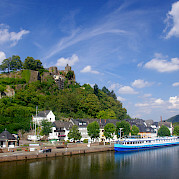 For Saarburg to Koblenz, the itinerary is reversed. Day 8: Koblenz, disembarkation after breakfast. Embarkation begins at 4 pm. 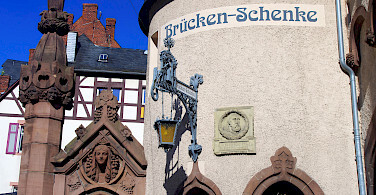 You will spend the first night and evening in Saarburg. In the evening you will have the opportunity to explore Saarburg. In the center of the city is a waterfall that is 20 meters. 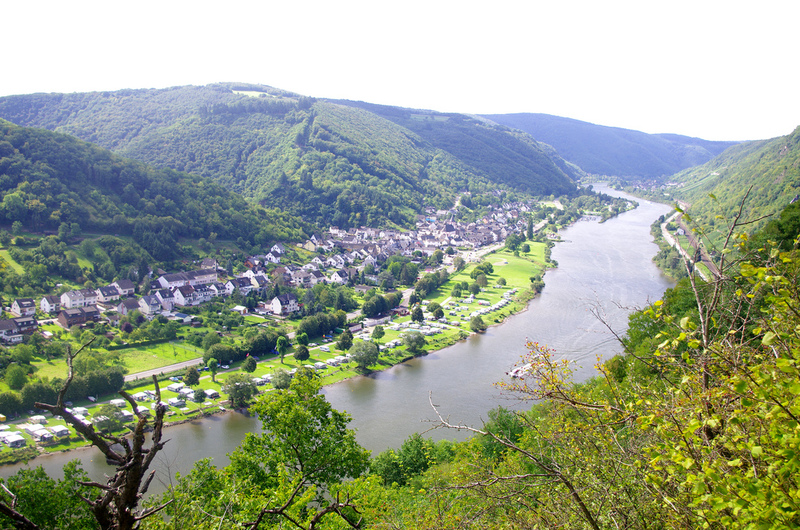 Today you will cycle from Saarburg through the idyllic nature reserve of the meander of the Saar River. Further on to Wasserbilling in Luzemburg and from here to the Igeler Saule. The ship awaits in Trier. Here you can book a guided city walk. 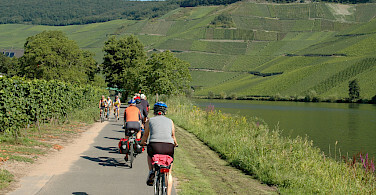 After breakfast you will cycle via Pfalzel to Mehring, the largest winegrowers’ community in the Mosel-Saar-Ruwer region. You will reach Bernkastel-Kues by bike. The market place from the Middle Ages with many wood timbered houses is the perfect place to rest. 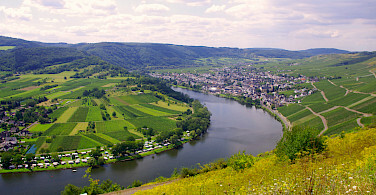 Piesport, is the oldest winegrowing community along the Moselle. Here you can book a guided tour and visit the Roman cellars and the vineyards. In the evening you will have the chance to visit a local winegrowers place and enjoy a wine tasting with the famous Moselle wines (optional, bookable on board). 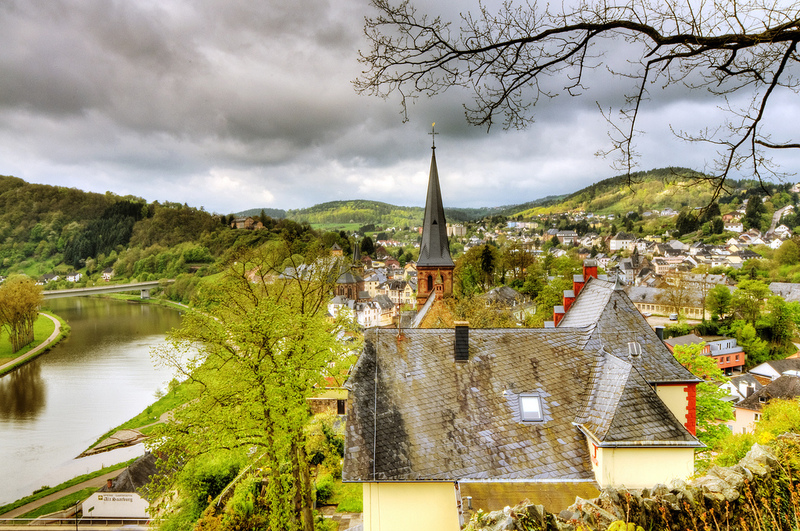 Today’s bike tour brings you to romantic Traben-Trarbach, where Jugendstil architecture shows its best side. 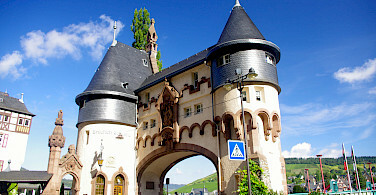 Zell is a very well known wine village on the Mosel. 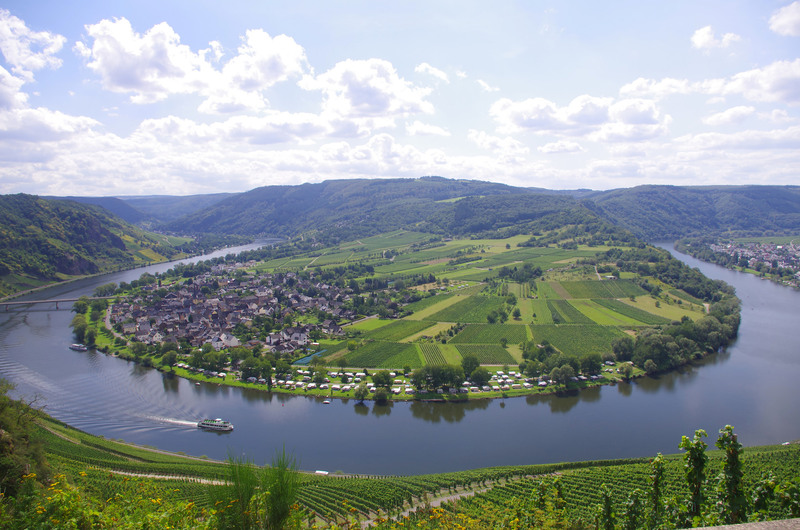 In the evening you will have the chance to visit local winegrower places and enjoy the famous Moselle wines, wine tasting optional, bookabel on board. 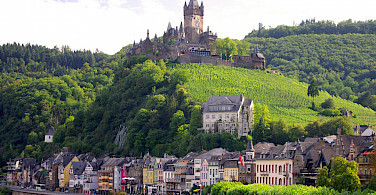 The perfect maintained historical center of Beilstein, “the Sleeping Beauty of the Mosel” is on the agenda this morning. Today’s tour ends in Cochem with the Reichsburg. 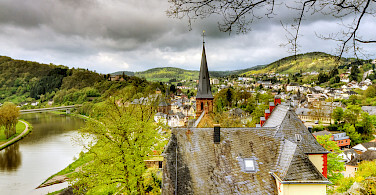 Cochem is a lovely little town with historical half-timbered-houses and a picturesque Old town. 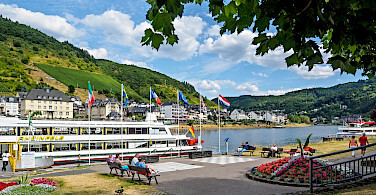 After a beautiful last day of cycling, the ship waits for you in Alken, one of the oldest cities along the Moselle and will navigate to Koblenz, where you will overnight. Looking for a different flavor? Check out our entire list of bike and boat tours or view all our featured bike trips, news, and specials. I have completed 7 bike and barge trips with Tripsite and every one of these trips has been a wonderful and memorable experience. 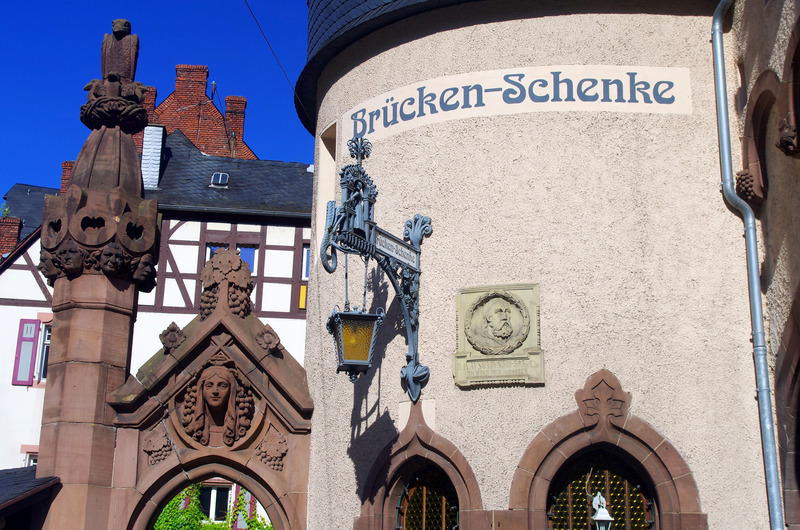 The latest one was a trip from Koblenz to Saarburg and even though we had already done this trip on the Patria on the reverse we wanted to enjoy the Mosel River once again as it truly is the most picturesque and enchanting route in Germany. The MS Patria and her crew are dedicated in making the trip a success by providing us with clean and comfortable even though small cabins, an outstanding menu on each and every night by a chef who for a very good reason has been on this ship for a very long time and a bike maintenance crew second to none. The bikes are ready when you get there and every night they are cleaned, inspected and ready for the next days adventure. That has made me and Clara to take 3 trips on the Patria and have enjoyed every one of them and have become a family with some of the crew members. Every route has its own beauties to show and Read more… every trip provides a very different taste of Europe. 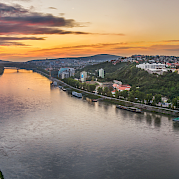 The Danube is fantastic, the Rhine is a water highway and the Neckar and Mosel are simply beautiful. Budapest is a great city of the east, Passau a small gem, Koblenz dazzling, Heidelberg an absolute delight and Bordeaux has it all. We have made life long friends and we enjoyed every day we have been on board one of the ships from Amsterdam, to Bruges, to Dusseldorf, to Manheim and beyond. Highly recommend to every one who enjoys cycling and the beauty of traveling through small and wonderful towns and cities to take advantage of these comparatively low cost river cruising and get to have fun and exercise. Thank you to all the crews and to all the staff at Tripsite but an especially HUGE hug to the crew on the MS Patria. 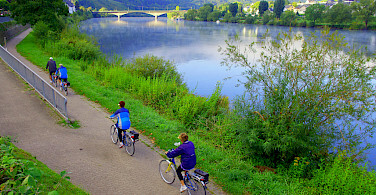 Our first trip with Tripsite (bike/barge on the Mosel River) was fantastic! Our “barge” was charming, neat, well run... my idea of a barge. The bikes were good, our route along the river could not have been more beautiful, with the little towns and all the vineyards. The food was great, the other passengers were nice and friendly, staff were wonderful, the weather perfect... we all had a great time. Relaxing, easy route coupled with comfortable boat made for a memorable trip. Most Memorable Part? Scenic bike rides along with meeting a lot of nice people. Best part: The scenery along the way. But I really enjoyed the staff on the Patria for a trip up the Mosel River in Germany. It was very laid back can of trip but the staff and food were great. My Moselle River Bike and Barge tour (October 2018) exceeded my expectations in every way. Barge was comfortable, food excellent and cycling experience was wonderful. I cannot wait to do something similar in the near future. I would recommend this style of travel to anyone who enjoys cycling and wants to experience great scenery and lovely towns. On day 4 my wife's front tire went off the bike trail into a 18 inch drop due to road construction . She dislocated her shoulder and broke her arm . We had to fly home in California for surgery . Two surgeries later she is almost back to normal and we hope to return to Germany next year to repeat the Mosel river trip and also a Croatia bike trip. We enjoyed the short time we had. We didn't have insurance so lost our money and then some. We are saving for another thru Tripsite because everything else wonderful. We are so glad to hear that your wife is expected to make a full recovery. As I'm sure you would agree, travel insurance is very important, especially because accidents like this can happen to anyone. 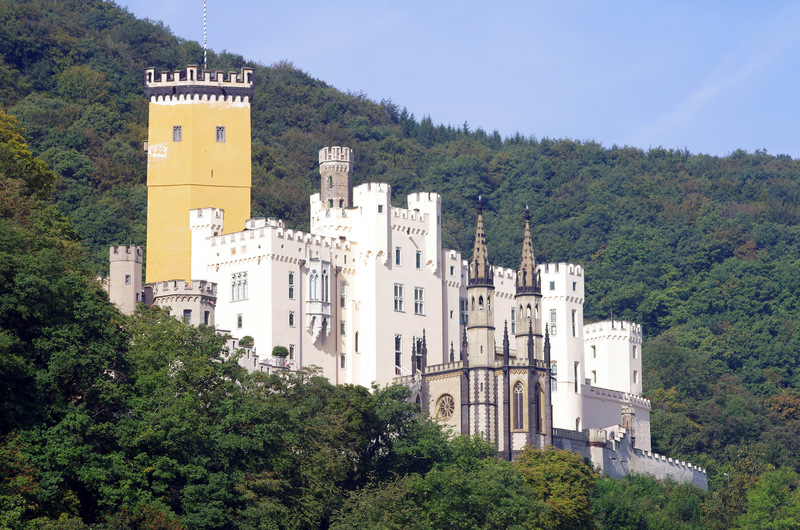 Highlights: The historical landmarks, castles, churches. My suggestion is to go when the weather is warmer. The April weather was colder than I like. The boat and crew were all fantastic and the cycling was fun and easy through beautiful scenery. The trip was very good throughout so it's hard to pick one thing as the highlight. Exploring the Roman remains in Trier was something we won't forget, and so was singing sea shanties on deck with the crew! Excellent value for money. Food was great and the crew were fantastic. Great fun on the bikes and beautiful places to visit. Only let down was the tour guide Jochen Winkler. Did the basic of roles and did not engage clients. Momentos mágicos vivemos no Rio Mosel. Nossa casa foi o Patria,nosso guia o Reinert,atencioso e amigo. Tudo correu bem, ate o clima colaborou. Comida excelente, foi um sonho! Great trip but had some problems with bikes. I've had better bikes on other trips. The best part was the setting with the river and the villages that we visited. I just liked the laid back atmosphere of this trip and boat. The boat was simple and the crew were very friendly. It is not high end and I like that for its simplicity. It makes it very easy to relax on this trip. Route was easy. We especially liked the fact that the boat stayed overnight where each day's ride ended. Our guide was a replacement so we don't think he was familiar enough with the route to give us the best guidance. The boat staff were outstanding! The boat dinners were outstanding! The boat breakfasts and lunches were just okay. The biggest downside to the trip were the totally inadequate route guides. They were not written for new-to-the-route riders. On one hand, they assumed the user was familiar with the route and knew where they were going. On the other hand, they seemed to have been written by someone who had never ridden the route, who just looked at a paper (or electronic) map to write the guide. Finally, the on-boat guides were of minimal help. While they seem to have ridden the route, they did not explain the complexities a new rider would encounter along the way. They did, however, explain the highlights to look for on each route. With those two exceptions, the trip was wonderful! As for the most memorable, being dog people, we really liked having the captain's dogs on board. Overall we enjoyed the Bike and Barge along the Mosel River. However it seemed to be too much effort for the guide to interact with the English speaking clients. Maybe he's been doing it too long. All of your staff at the office are fantastic! We love talking to you and we truly appreciate your efforts and quick response to our questions and requests. Looking forward to Bordeaux next September. We had an absolute blast on this trip and made great friends with the other English-speakers. The route was beautiful and full of things to discover, and the biking was very manageable, even for my 75 year old mother. The downside was that our boat included a very large group that had booked together, so we felt slightly apart from the majority of the passengers and the separate language orientation sessions intensified this. I know you don't run these tours, but I wonder if having the sessions together and providing English language translation in writing on the Power Point would be another option? Encouraging switching up the seating at meals might also help. One last comment is that it would be helpful for the maps to include information on the location of public toilets along the route. We are not comfortable using the riverbank as our toilet as our guide recommended. Trip was excellent. the boat is really bare bones but that was okay. Wifi was spotty and difficult at times. It was a great way to see the countryside. The bikes were new and serviced and washed daily to keep them in excellent condition. The boat staff were wonderful and very hard-working. Much time and skill went into meal preparation, and the meals were delicious and attractively presented, both breakfasts and dinners. There was plenty of food to package into lunches to take on the trail. Each day's ride along the Mosel was on flat hard-surfaced trails with beautiful scenery and easy to follow directions that took us through pretty little towns. We thoroughly enjoyed this trip and would definitely use Tripsite again. We had the most wonderful time on our bike/barge trip; the beautiful weather that week added to it. That was my first trip with Tripsite. The Mosel River was nothing short of spectacular. I have told anyone who would listen about this trip & have passed Tripsite's name & number along to many other people. Can't wait to do another trip! My mom and two sisters and I did this trip last month to celebrate my mom turning 75 this summer. We had a blast! The boat was comfortable and food was delicious, including lots of healthy salads and fruit. The crew was top-notch; keeping things running smoothly and on-time. The riding was wonderful every day, even with a few rainy days. 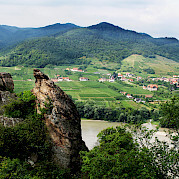 The routes were fun, and full of countless "photo-ops" with picturesque villages, castles, churches and vineyards. We rarely had to climb any hills or interact with cars, so the riding really was suitable for beginners or seniors. We werewith the smaller "English-speaking" group, so had our orientation to the next day's route the evening before. Somehow, despite the four of us thinking we were paying close attention, we always managed to forget something about the route instructions, but part of the fun challenge was finding our way back to the route when we took a wrong turn or crossed the wrong bridge. By the Read more… last few days, we started adding a few side trips and explorations to our routes, but still always managed to find our way back to the Patria in time for the coffee, tea and fancy cakes in the early evening. Though the majority of our fellow passengers spoke German, and we don't speak the language at all, we still felt very welcomed. Our only suggestion would be for someone to provide notation on the maps of the public w.c.'s available along the route. As an all-female group, we spent a little more time than we wanted to tracking those elusive locations along the route. Thanks for a great vacation! Wow, just finished the Koblenz to Saarburg on the Patria. The Patria and crew was great; meals were very good and plenty of food. Drinks were reasonable on board. Room was small, but enough storage and bunk was comfortable. Biking was very good, despite the three rainy days. Most important this is a cozy atmosphere where you can hang out at the Lounge at night, have a few drinks and socialize. We asked for a guitar and Gottfried, the tour guide found us one. Much to the enjoyment and maybe consternation...we did a sing along a couple nights. already planning next years trip! We traveled with another couple from Saarburg to Koblenz and enjoyed every part of the trip, even biking in the rain during a couple of days! The bikes we used were better than our bikes at home, the gears changed easily and the bike was comfortable. We were provided with suitcases to put onto the bikes so we could easily store our lunch, water bottles, coat, camera etc. Every morning started with a clear and concise presentation on the route we were taking during the day. We received booklets that contained information on our route and descriptions on what we were going to see along the way. The bike paths were paved and we rarely had to worry about vehicle traffic along the way. We toured beside the Mosel River, past many kilometers of vineyards growing on steep slopes; we toured through small villages with castles overlooking the countryside. 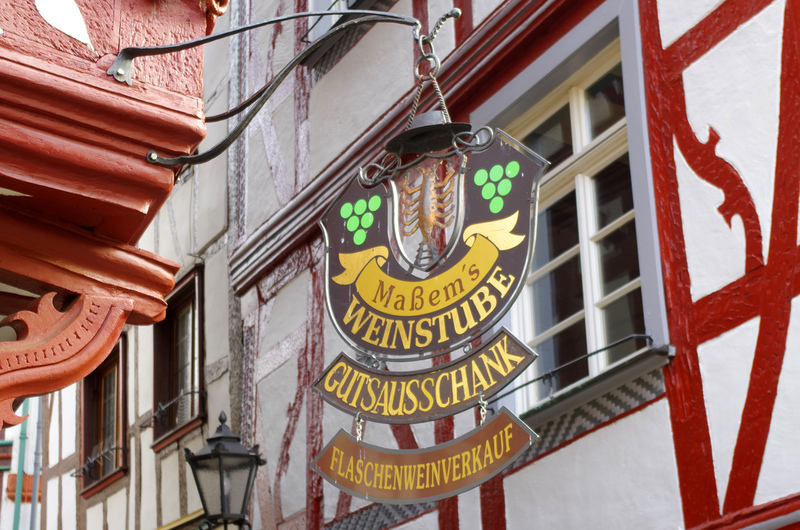 We took time to stop in villages along the way to enjoy some of the local wines and beer and apple strudel. The barge Read more… experience was excellent - the staff were very helpful and interested in helping you with any issues that arose. Our only recommendation would be to have WiFi available for the guests so we could easily keep in touch with families through email however most of the villages did have internet cafes. Overall the experience was excellent and we are already looking at booking our next bike trip through this site - Italy here we come! This e-mail is in reference of our booked Bike and Boat trip on the MS Patria from Saarburg to Koblenz on the Mosel River in Germany for the week of May 5, 2012. Overall, our experience was excellent. The staff was very professional, courteous and useful. Also, most of the staff dealing directly with the guests had a reasonable knowledge of English. The boat, the public rooms and the cabins were all in good shape and clean, The guide was very knowledgeable about the Mosel region, very accessible and useful. The bikes were in very good working order. The food was delicious, fresh, varied, on time and most of the time it was 5 to 4 courses for suppers. 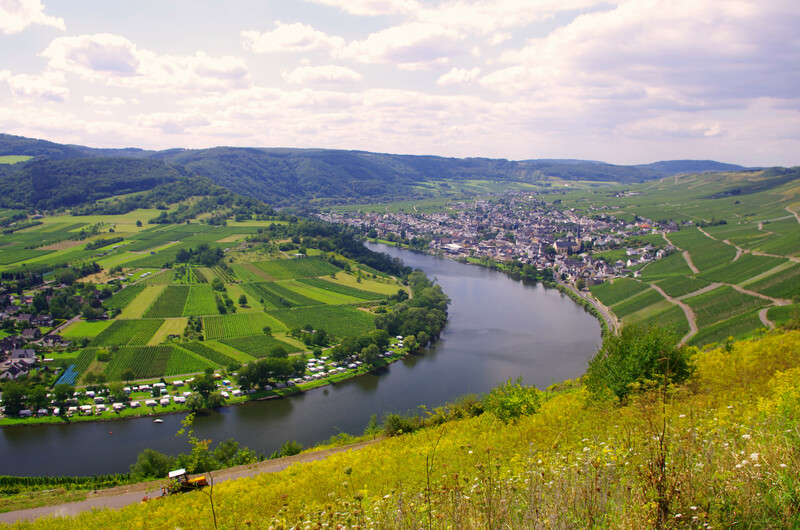 The Mosel River is very scenic with Roman ruins, medieval castles, many pretty little villages with fun and interesting market squares and many vineyards on slopped hills. There were many opportunities to taste Mosel Riesling wines from the various little Read more… villages. From now on, we will stock our personal bar at home with wines from the Mosel region. As a handicapped person with limited mobility, the overall experience was excellent. The staff was always available to offer their assistance as necessary. They soon understood that I required limited assistance. The captain and his wife both invited me to sit with them on the sun deck in the navigation room when the boat was travelling which was both interesting and very pleasant. It was a good thing that my cabin was on the main deck. Although doable, my cabin was at the far end of the hallway and sometimes a bit of a challenge because of the distance. However, I think it was the only accessible room on the boat. My cabin was roomier which was convenient to store the wheelchair out of the way when not in use. The bathroom was small but accessible with a stool in the shower. The lift chair to descend to the lower level to the dining area worked most of the time and temperamental for the last few days. When the chair lift was temperamental, the staff did their best to fix it or to bring the food of our party to the upper deck. The lift chair was bulky and an older model. A few grab bars on the boat such as in the public washrooms and in the cabin shower would of been useful. When boarding or exiting the boat to dry dock, the plank to walk on had rope hand rails which made it a bit tricky because it wasn't solid as opposed to solid hand rails. Again, I will reiterate that we had an excellent experience and would highly recommend it to our friends. 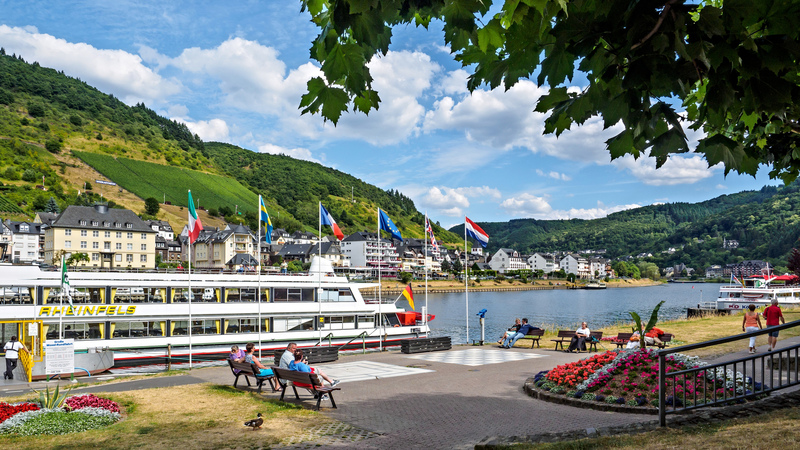 Our bike and boat trip was a rich experience of history, geography, economy and culture about the Mosel region. Patria Germany Comfort Class Boat The MS Patria is a cozy river ship with restaurant, saloon, and sun deck. It is 68 meters long, approximately 8 meters wide, and can accommodate 68 guests. The upper deck in the front of the ship has a beautiful lounge and bar with big windows, as well as a separate restaurant area on the lower deck. The boat also has a partially covered sun deck for relaxation. The guest cabins are each 7 square meters.